In recent years, Hungary has been striving to attract foreign affluent individuals by reducing personal income tax and adopting other favourable measures for private individuals, which we detail below. third-country nationals who have a permanent residence permit or stateless status in Hungary. their habitual abode is in the domestic territory if there is no permanent home in Hungary, or if Hungary is not the only country where they have a permanent home and if their centre of vital interests is unknown. For the purpose of a permanent home, any form of home may be taken into account (e.g., a house or apartment belonging to or rented by the individual, or a rented furnished room). However, the permanence of the home is essential; this means that the individual has arranged to have a dwelling available to him or her at all times continuously, and not occasionally for the purpose of a stay that, owing to the reasons for it, is necessarily of a short duration (e.g., business travel, educational travel). To substantiate that the individual has a permanent home in Hungary, it is usually required to have at least a rented flat for which he or she is paying utility, telephone and internet bills. As regards the notion of centre of vital interest, the Hungarian tax authority largely follows the Organisation for Economic Co-operation and Development (OECD) Commentary and claims that the centre of vital interest is the country with which the personal and economic relations of the individual are closer. Thus, his or her family and social relations, occupation, political, cultural and other activities, place of business, and the place from which he or she administers his or her properties should be considered. The circumstances must be examined as a whole, but considerations based on the personal circumstances of the individual (e.g., close family relatives living in the same household) must receive special attention. Hungarian tax residents are subject to income tax on worldwide income, regardless of whether the funds are transferred to Hungary. Non-residents are taxed on income from Hungarian sources only. We summarise the Hungarian PIT treatment of certain passive income earned by Hungarian tax residents below. Hungarian-resident individuals are subject to PIT on their worldwide income, including interest income. Interest income of a Hungarian-resident private individual will be subject to Hungarian PIT at a rate of 15 per cent in 2018.
in certain cases, the capital gains achieved when securities are called, redeemed or transferred. In connection with collective investments in transferable securities, redemption shall also cover when the securities are exchanged upon the transformation or merger of the investment fund for the investment certificates of the successor fund. Gains from the transfer of collective investments in transferable securities in certain qualified exchange markets or in a market of an EU, EEA or OECD state will not qualify as interest income, but will be considered as income from capital gains for Hungarian tax law purposes. In the event that the interest income is paid in the form of valuable assets (e.g., securities) and the Hungarian paying agent cannot withhold the relevant tax, the taxable base would be assessed in the amount of the fair market value of the asset received multiplied by 1.18. If the interest income is received from a Hungarian paying agent, such paying agent should withhold the PIT. If the interest income is not received from a paying agent, taxes should be assessed, declared and paid to the tax authority by the private individual himself or herself in his or her regular annual tax return. Payments distributed by or on behalf of a legal person or other organisation having its seat in a low tax jurisdiction4 are subject to PIT at a 15 per cent rate and the recipient should pay health tax of 19.5 per cent, in addition to the PIT. Note, however, that the legislation does not provide for any adverse tax implications in respect of interest received from controlled foreign companies5 (CFC) because the definition of the low-tax jurisdiction does not cover CFCs. The dividend income of a Hungarian resident private individual is subject to PIT at a rate of 15 per cent and health tax at the rate of 14 per cent in 2018 (the latter is capped at 450,000 forints per annum). Dividend payments distributed by or on behalf of a legal person or other organisation having its seat in a low tax jurisdiction are subject to PIT at a 15 per cent rate and the recipient should pay health tax of 19.5 per cent in addition to PIT. Capital gains realised by a Hungarian-resident private individual will be subject to PIT at a rate of 15 per cent and health tax at a rate of 14 per cent in 2018 (the latter is capped at 450,000 forints per annum). Under certain conditions, preferential PIT rules may apply to income from the 'controlled capital market transactions' of private individuals. Income from 'controlled capital market transactions' shall be calculated as the difference between the total profit and the total loss realised on transactions during the tax year. In 2018, a 15 per cent PIT rate would apply on that income. Because of the preferential tax treatment of 'controlled capital market transactions', the private individual could be entitled to tax compensation with respect to losses realised from controlled capital market transactions during the tax year, during the year preceding the current tax year and in the two years preceding the current tax year. Tax 'calculated' for such losses could reduce the taxes calculated on gains realised by the private individual from controlled capital market transactions during the tax year, during the year preceding the current tax year and in the two years preceding the current tax year. Preferential tax rules may apply to income from 'qualified long-term investments' of private individuals. Income derived from qualified long-term investments refers to the profit the private individual realises under a long-term investment contract entered into with an investment service provider or a credit institution. Under the long-term investment contract, the private individual places an amount equal to at least 25,000 forints on his or her account for a minimum period of three (and further two) years, and the parties agree on applying the preferential taxation rules laid down by the Act on PIT. If all the conditions prescribed by law are fulfilled and the 'qualified long-term investment' is held for less than three years, for the 2018 tax year a 15 per cent rate may apply, while if the investment lasts at least three years, a preferential 10 per cent rate is applicable; income from qualified long-term investments would be subject to a zero per cent rate if the investment is held for at least five years. Under certain conditions, the above beneficiary tax rules may also extend to foreign qualified long-term investments, where the investment service provider or the credit institution is not subject to Hungarian data disclosure requirements. The inheritance of assets located in Hungary would be subject to Hungarian inheritance tax regardless of the nationality of the heirs. If the inheritance is handed over during a probate action then the tax authority assesses the inheritance tax and informs the heirs regarding the tax payable. The base of the inheritance tax and the gift tax is the net value of the inheritance or gift, which is the market value of properties inherited or gifted less any liabilities related to the inheritance or gift. The generally applicable inheritance and gift tax rate is 18 per cent. However, a preferential 9 per cent tax rate applies to residential properties. In the case of vehicles, the inheritance and gift tax are double the transfer tax. Special rules apply in cases of inheritance of beneficiary ownership over real estate properties or rights with pecuniary value. if the heir or recipient undertakes to build a residential property within four years after the succession or gifting and the total territory of the flats in this residential property is at least 10 per cent of the maximum build-in territory, the inheritance or gifting of the land would be exempt from inheritance or gift tax. To become eligible for this exemption, the heir or recipient should file a statement to the tax authority. The tax authority will assess after four years whether the heir or recipient has fulfilled all obligations related to the tax exemption. In the case of non-compliance, the heir or recipient should pay inheritance or gift tax, plus the amount of the late payment interest. If the heir offers any fine art, applied art or folk art creation, or museum piece, collection or a part of it that he or she has inherited to the Hungarian state, municipality or higher education institution and it has been accepted by the recipient, then the inheritance or the offered part of the inheritance is exempt from inheritance tax. In cases of underage heirs, the inheritance tax may be payable without any late payment interest until the end of the second calendar year from the date they have reached maturity. If the underage heirs pay their inheritance tax liability in advance then the amount of tax should be decreased by 10 per cent to 70 per cent. In the case of the inheritance of the ownership of arable land or rights with pecuniary value relating to the arable land, the applicable tax rate is half (and in certain cases a quarter) of the general tax rate. Transfer tax is payable upon the acquisition of real estate property, movable property on auctions, cars and trailers, rights of pecuniary value (e.g., rights related to real estate, cars), usufruct on real estates, building structures in public places and acquisition of securities by means of contract of inheritance. Since 2010, the acquisition of shares in a real estate holding company is also subject to real estate transfer tax (RETT), provided that the ownership of the acquirer reaches 75 per cent of the company that holds the real estate in Hungary. Under transfer tax legislation, an entity should be regarded as a real estate holding company if the value of the real estate in Hungary owned by that entity exceeds 75 per cent of the total value of the assets (excluding liquid assets, monetary claims, accruals and loans) of the entity shown on the balance sheet that was most recently formally approved. An entity should also be regarded as a real estate holding entity if it holds directly or indirectly at least 75 per cent of shares in a company that fulfils the above conditions. The standard rate of RETT is 4 per cent of the market value of the acquired real estate. If the market value of a real estate property exceeds 1 billion forints, the rate of the RETT on the exceeding part is 2 per cent, but the RETT liability is capped at 200 million forints per real estate property. Local municipalities may levy tax on buildings. The maximum of the building tax is either 1,100 forints per square metre (adjusted with cumulated inflation) or 3.6 per cent of the adjusted fair market value of building. Land tax may be levied by local municipalities on the owner of the land. The land tax is either charged annually based on the area of land owned, at a maximum rate of 200 forints per square metre (adjusted with cumulated inflation) or based on the adjusted fair market value of the land, at a maximum of 3 per cent. The main rule of Hungarian succession law is that the heirs acquire the inheritance by the mere fact of the death of the deceased person.11 Accordingly, the heirs become the owner of the properties at the time of death; however, they are not entitled to exercise their rights relating to the inheritance (e.g., to register their ownership in the land registry) until the notary public has rendered a binding resolution on the handover of the heritage during the probate action. Therefore, the aim of the probate action is to identify the properties of the deceased person and to clarify the inheritance relationships and make a resolution regarding the succession. In the event of any dispute concerning the resolution of the notary public, each of the interested persons could challenge the resolution before the court. In the case of the disposition of property upon death, the Civil Code provides for the formal requirements and the eligible terms of such dispositions. The Civil Code distinguishes between last will, contract of succession and donation upon death. Nevertheless, the introduction of the new Hungarian rules on trusts represents dramatic improvements in wealth structuring.50 While the Civil Code contains the rules on the relationship between the settlor, the trustee and the beneficiary, the Trustees Act provides for the regulatory framework for providing such services. The Trustees Act provides specifically for licensing, notification and registration requirements. To manage two or more trusts as a trustee, i.e., on a business scale, a licence from the National Bank of Hungary (MNB) is necessary.69 Such a licensed trustee could be a limited liability company, a joint stock company or the branch of an EEA undertaking. The licensed trustee needs to meet certain transparency criteria and must have registered capital of at least 70 million forints.70 Additionally, the licensed trustee must have financial collateral of a value corresponding to at least 20 per cent of the trust assets, but ranging from 70 million to 1.5 billion forints.71 The legislation also prescribes conditions with respect to the managing directors of the trustee. For corporate income tax purposes, the trust assets (managed assets) are considered a corporate income taxpayer.75 This means that any tax benefits granted to Hungarian tax-resident entities are also available for trust assets. Therefore, trusts can be used for various domestic and international tax planning purposes (e.g., making use of favourable rules of holding regimes, tax-neutral company restructurings, asset transfers, eliminating related party classifications). Based on the above developments, it is clear that Hungary has made a great leap towards being an attractive location for high net worth individuals. The new Hungarian trust represents a significant improvement in terms of private wealth management and for the private wealth industry in Hungary, and could be a stimulus for the Hungarian economy. Besides domestic legislative changes, Hungary is very much exposed to international trends, such as OECD Base Erosion and Profit Shifting, the automatic exchange of information and EU anti-avoidance. In 2014, Hungary ratified the Convention on Mutual Administrative Assistance in Tax Matters along with the Protocol amending the Convention.77 Furthermore, in 2015, Hungary became a party to the Multilateral Competent Authority Agreement on Automatic Exchange of Financial Accounts Information,78 implemented the DAC2 Directive79 and the 4th AML Directive.80 Hungary is also among the signatories to the Multilateral Convention to Implement Tax Treaty Related Measures to Prevent Base Erosion and Profit Shifting (MLI) and is committed to implementing the MLI minimum standards into its bilateral tax treaties. In addition, in compliance with the Council Directive (EU) 2016/1164 of 12 July 2016 laying down rules against tax avoidance practices that directly affect the functioning of the internal market (ATAD), Hungary has already modified its regulation regarding CFCs and it aims to transpose the other anti-avoidance measures of ATAD in 2018. 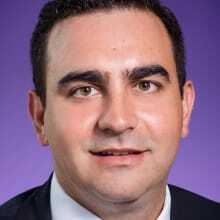 1 Janos Pasztor is a senior associate heading the tax practice group at Wolf Theiss Budapest. 2 I Sándor, 'Gondolatok a bizalmi vagyonkezelés szabályozásáról az új Ptk.-ban' (Thoughts on the regulation of trust in the new Civil Code) (2013) available at: http://ptk2013.hu/szakcikkek/sandor-istvan-gondolatok-a-bizalmi-vagyonkezeles-szabalyozasarol-az-uj-ptk-ban/2355. 3 Hungary has several double tax treaties (DTTs) with countries that include the Balkans, Belarus, Brazil, Canada, the countries of the Caucasus, the European Union, Iceland, Kazakhstan, Liechtenstein, Mexico, Moldova, Norway, Russia, San Marino, Switzerland, Ukraine, the United States, Uruguay and Uzbekistan. There are DTTs in place with Australia, China, Hong Kong, India, Indonesia, Japan, Malaysia, Mongolia, Pakistan, the Philippines, Singapore, South Korea, Taiwan, Thailand and Vietnam. Hungary also has DTTs with African countries, namely Egypt, Morocco, South Africa and Tunisia. In recent years, Hungary ratified DTTs with more countries of the Middle East, i.e., Bahrain, Iran, Israel, Kuwait, Oman, Qatar, Saudi Arabia, Turkey and the United Arab Emirates. Additionally, Hungary has ratified tax information exchange agreements with Jersey and Guernsey. 4 Low-tax jurisdiction means a state that refrains from imposing CIT or if the tax rate thereof is 9 per cent or lower, unless Hungary has concluded a Double Tax Convention with such state. 5 Under Hungarian tax legislation, CFCs are foreign persons not qualifying as foreign entrepreneurs or Hungarian-resident taxpayers, in which the taxpayer (either on its own, or with its related parties) – directly or indirectly – holds more than 50 per cent interest (shareholdings or voting rights) or is entitled to a share of after-tax profit exceeding 50 per cent thereof in the financial year, in which the tax equivalent to the CIT paid by the foreign legal entity is less than the difference with which the CIT that it would have paid assuming that its seat were in Hungary exceeds the tax equivalent to the CIT paid by the foreign legal entity (i.e., CIT paid by the foreign person is less than 50 per cent of the Hungarian CIT that the foreign entity should have paid in Hungary if it were a Hungarian taxpayer). The Hungarian tax legislation also regards foreign permanent establishments of a Hungarian resident taxpayer to be a CFC if in the tax year, in which the tax paid by the foreign permanent establishment is less than the difference with which – assuming that the permanent establishment was located in Hungary – the CIT that it would have paid exceeds the tax equivalent to the CIT paid by the foreign permanent establishment. The foreign legal entity or the foreign permanent establishment should not be considered as a CFC if it carries on a substantive economic activity supported by staff, equipment, assets and premises, as evidenced by relevant facts and circumstances. 6 Based on a current legislative proposal by the Hungarian government, health tax on interest, dividend and capital gains income would be replaced by the social tax setting out a uniform tax rate of 19.5 per cent from 1 July 2019. According to the proposal, the tax base to which this rate would apply would be capped at the minimum wage multiplied by 24 (i.e., 3.312 million forints calculated based on the minimum wage currently in effect). 7 As of 1 January 2018, a new Double Tax Convention entered into force between Luxembourg and Hungary, which allows for Hungary to tax the capital gain arising at a Luxembourg resident individual or entity upon the alienation of shares in a Hungarian real estate holding company. 8 Act XCIII of 1990 on Duties. 9 Act XCIII of 1990 on Duties. 10 Act V of 2013 of the Civil Code. 11 Sections 7:1 and 7:87 of the Civil Code. 12 Section 7:3(1) of the Civil Code. 13 Section 7:3(2) of the Civil Code. 14 Section 7:10 of the Civil Code. 15 Section 7:30 of the Civil Code. 16 Sections 7:13 to 7:17 and 7:20 of the Civil Code. 17 Sections 7:20 and 7:21 of the Civil Code. 18 Section 7:23 of the Civil Code. 19 Section 7:48(1) of the Civil Code. 20 Section 7:75 of the Civil Code. 21 Sections 7:55(1) and (3), 7:63(1) and (2) of the Civil Code. 22 Sections 7:64(1) and (2), 7:65(1) and (2) and 7:66 of the Civil Code. 23 Section 7:64(1) of the Civil Code. 24 Sections 7:55(2), 7:63(1), 7:64(1), 7:65(1) and 7:66 of the Civil Code. 25 Section 7:58(1) of the Civil Code. 26 Section ۷:۶۰ of the Civil Code. 27 Section 7:61 of the Civil Code. 28 Section 7:67(1) and (2) of the Civil Code. 29 Section 7:69(1) of the Civil Code. 30 Section 7:68(3) of the Civil Code. 31 Section 4:34(2) of the Civil Code. 32 Section 4:35(1) of the Civil Code. 33 Section 4:53 of the Civil Code. 34 Section 4:38(1)(a) of the Civil Code. 35 Sections 4:38(1)(b), (c) and (f) of the Civil Code. 36 Section 4:37(1)(a) of the Civil Code. 37 Sections 4:42(1) and (2) of the Civil Code. 38 Section 4:43 of the Civil Code. 39 Section 4:49 of the Civil Code. 40 Section 4:63(2) of the Civil Code. 41 Section 4:65(2) of the Civil Code. 42 Sections 4:69 to 4:71(2) of the Civil Code. 43 Sections 4:72 to 4:73(2) of the Civil Code. 44 Section 4:73(2) of the Civil Code. 45 Section 6:516 of the Civil Code. 46 Section 6:515 of the Civil Code. 47 Act XXIX of 2009 on the Registered Partnership. 48 Section 3(1) of the Registered Partnership Act. 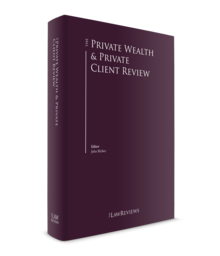 49 A Menyhei, 'Estate Planning in Hungary: Private Foundation or Trust?' (2015) 21 Trusts & Trustees 650, 651. 50 The Civil Code and Act XV of 2014 on the Trustees and the Rules of Their Activities. 51 Section 6:59 (2) of the Civil Code. 52 A Menyhei, 'Development of the estate planning industry through the introduction of the trust in Hungary' (2016) 22 Trusts & Trustees 659, 662. 53 Sections 6:310(2), 6:311(4), 6:312(1), 6:316 and 6:326(3) of the Civil Code; A Menyhei, 'Estate Planning in Hungary: Private Foundation or Trust?' (2015) 21 Trusts & Trustees 650, 652. 54 Sections 6:310(1) and 6:329(1) and (2) of the Civil Code. 55 Section 6:310(1) of the Civil Code. 56 Section 6:314(1) of the Civil Code. 57 Section 6:317(1) of the Civil Code. 58 Section 6:323(1) of the Civil Code. 59 Section 6:318(2) of the Civil Code. 60 Section 6:322(2) of the Civil Code. 61 Section 6:313(1) of the Civil Code. 62 Section 6:314(2) of the Civil Code. 63 Section 6:120 of the Civil Code. 64 Section 6:318(3) of the Civil Code. 65 Sections 6:326(1) and (3) of the Civil Code. 66 Section 6:326(4) of the Civil Code. 67 Section 6:326(5) of the Civil Code. 68 The Hague Convention on the Law Applicable to Trusts and on Their Recognition (1985); A Menyhei, 'Development of the estate planning industry through the introduction of the trust in Hungary' (2016) 22 Trusts & Trustees 659, 661. 69 Section 3(1) of the Trustees Act. 70 Sections 3(1) and 7(2) of the Trustees Act. 71 Section 2(1) of the Decree of the Government No. 87 of 20 March 2014 on Certain Rules on the Financial Collaterals of Trustee Undertakings. 72 Section 19 of the Trustees Act. 73 Section ۱۷/D of the Act XCIII of ۱۹۹۰ on Stamp Duties; A Menyhei, 'Estate Planning in Hungary: Private Foundation or Trust?' (۲۰۱۵) ۲۱ Trusts & Trustees ۶۵۰, ۶۵۱. 74 Section 17/D(2) of the Act XCIII of 1990 on Stamp Duties. 75 Section 2(6) of the Act LXXXI of 1996 on Corporate Tax and Dividend Tax. 76 Section 66(1)(a)(ae) of the Act of CXVII of 1995 on Personal Income Tax. 77 Act XLII of 2014 on the Promulgation of the Convention on Mutual Administrative Assistance in Tax Matters. 78 Act CXC of 2015 on the Promulgation of the Multilateral Competent Authority Agreement on Automatic Exchange of Financial Accounts Information. Hungary will exchange financial account information (such as data identifying the beneficiary owner, data on the assets and revenues, etc.) with the following countries: Andorra, Argentina, Australia, Austria, Belgium, Brazil, Bulgaria, Canada, Chile, China, Colombia, Croatia, Cyprus, the Czech Republic, Denmark, Estonia, Faroe Islands, Finland, France, Germany, Gibraltar, Greece, Greenland, Guernsey, Iceland, India, Indonesia, Ireland, Isle of Man, Italy, Japan, Jersey, Korea, Latvia, Liechtenstein, Lithuania, Luxembourg, Malaysia, Malta, Mauritius, Mexico, Monaco, the Netherlands, New Zealand, Norway, Pakistan, Poland, Portugal, Romania, Russia, San Marino, Saudi Arabia, Seychelles, Slovakia, Slovenia, South Africa, Spain, Sweden, Switzerland and the United Kingdom. Exchanges have taken place since September 2017 (except for some countries, e.g., Australia, Brazil, Canada and Japan, which intend to exchange information by September 2018). 79 Council Directive 2014/107/EU of 9 December 2014 amending Directive 2011/16/EU as regards mandatory automatic exchange of information in the field of taxation, OJ L 359, 16.12.2014, p. 1. 80 Directive (EU) 2015/849 of 20 May 2015 on the prevention of the use of the financial system for the purposes of money laundering or terrorist financing, amending Regulation (EU) No. 648/2012 of the European Parliament and of the Council, and repealing Directive 2005/60/EC of the European Parliament and of the Council and Commission Directive 2006/70/EC.